The mighty Italian Alps in Italy are perfectly located in the northeast corner of Italy near Switzerland and Austria. This stunning area has one of the most spectacular mountain ranges in the European Alps. 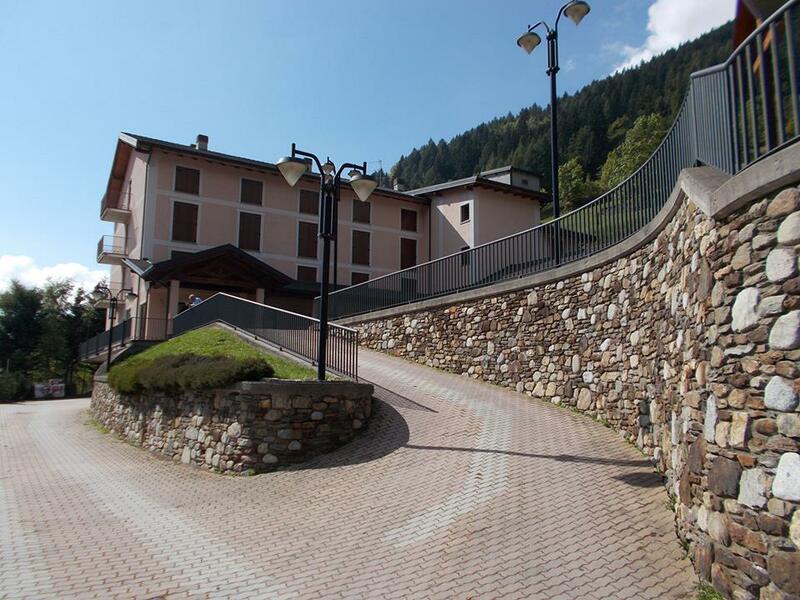 Right in the middle of the Italian Alps you can find the beautiful ski resort, Ponte di Legno. Nestled in the Italian Alps, Ponte di Legno is a cycling and motorcyclist paradise and the perfect destination for summer cycling or ride. 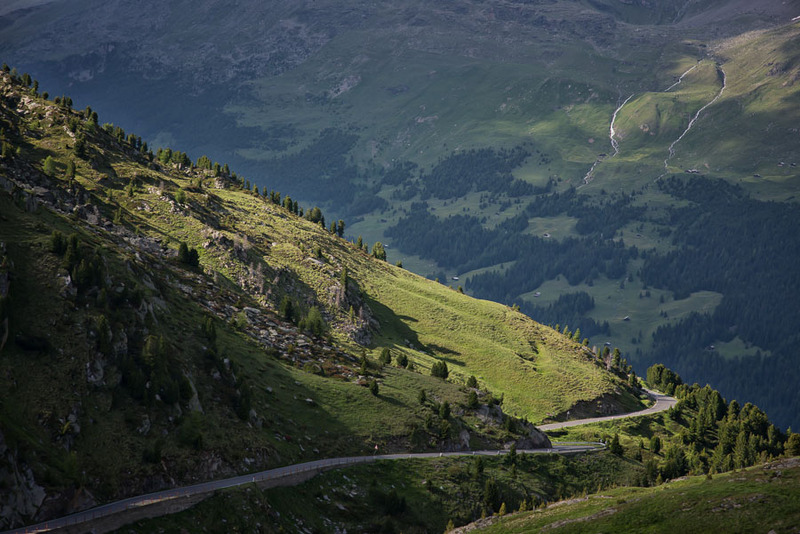 The gateway to the iconic Passo del Gavia is one of the highest Alpine pass in Europe at 2621m above sea level. The Gavia and other climbs around Ponte di Legno have been a regular feature of the Giro d’Italia since its inception. The Passo Gavia is situated in Lombardy. This climb belongs to the Alps. 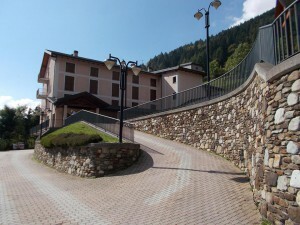 Starting from Ponte di Legno, the Passo Gavia ascent is 17.3 km long. Over this distance, you climb 1363 heightmeters. The average percentage thus is 7.9 %. The maximum slope is 16 %. A motorcycle tour in the High Vallecamonica and the surrounding valleys, with starting point Ponte di Legno, is a unique experience. 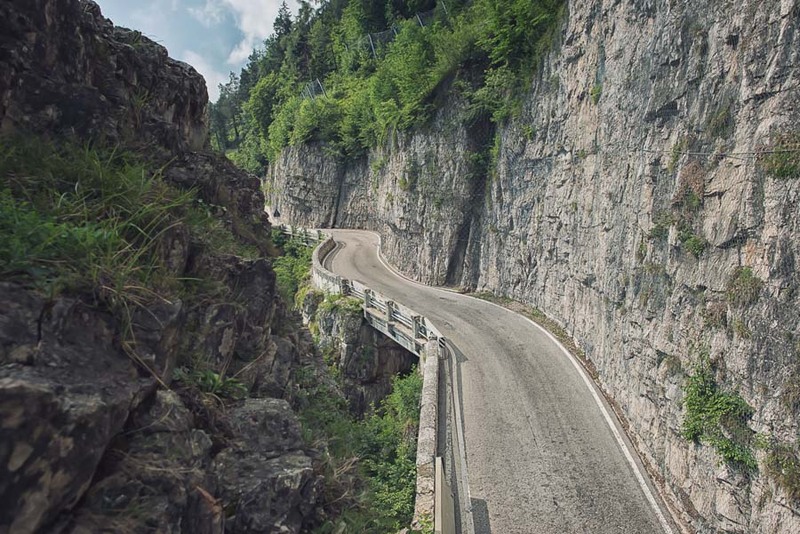 Riding a motorcycle (or bicycle) is one of the best ways to enjoy the amazing views of the area and especially the most exciting climbs of Italy. I’m proudly italian an great food has always been at the very heart our existence. In Ponte di Legno you can enjoy gourmet alpine cuisine made from the very best fresh local produce. As humble cyclists I know the great food will fuel your passion to ride harder and further…and there is no better reward for a hard day in the saddle than a beautiful meal accompanied by a glass of wine, a cold beer or a creamy cup of coffee. In Ponte di Legno just like any other part of Italy food is life. Italian cuisine has developed through the centuries and has gained popularity across the world for its regional diversity and abundance in different flavours and styles. The local Alpine cuisine is characterized by its simplicity as well as the quality of the local produce grown around the local mountains where the air is fresh and the soil is rich. The quality of the produce enables the dishes to have few ingredients as they rely on the quality of the ingredients, rather than on elaborate preparation.